By default, the parent organization name configured in your Goverlan Reach Server settings is used to brand Goverlan Reach sessions. This name is used in the On-Demand Goverlan Reach session email, support session interface and is the name of the shortcut generated on the user’s desktop. 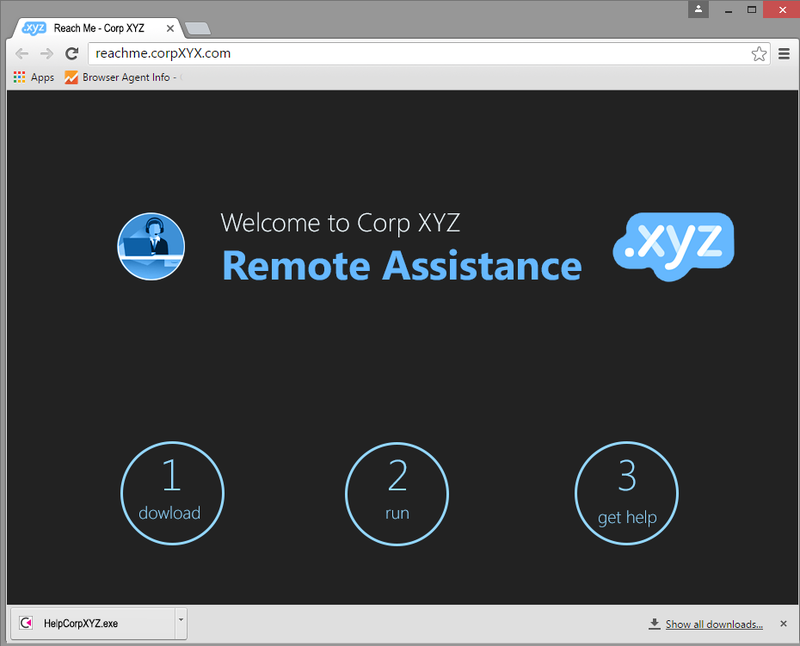 The Goverlan Reach experience can be further customized by creating a self-hosted, On-Demand Goverlan Reach landing page with a convenient public DNS name that includes a download button for the On-Demand Goverlan Reach client executable. The On-Demand Goverlan Reach support landing page should auto-download the Goverlan Reach Client executable that was generated from a prior On-Demand Goverlan Reach web-link. If you change any of your Goverlan Reach Settings, you MUST regenerate a new GoverlanClient.exe by generating a new web-link to reflect these changes.